We are offering all our readers, and especially readers of the VisitScotland monthly ezine, a 10% Discount on self-catering holidays in Scotland this October. To receive your code please complete the details below and click ‘Send’. The promoters are the Association of Scotland’s Self Caterers (ASSC) under the promotional brand of EmbraceScotland. This offer is open to residents of and visitors to the British Isles, aged 18 years or over. Holiday bookings are made direct with the Owner of the business or Properties and not with ASSC or EmbraceScotland. Visitors must ensure that they have read and understood the individual terms and conditions of the business or property with which they are booking. The offer is obtained by quoting the Offer Code emailed to those who register for the Offer. It entitles the visitor only to 10% discount off the normal published rate for the accommodation for the period booked. The offer may not be used in conjunction with or in addition to any other discount voucher, offer or concession rate offered by the Owner or property. The Offer is valid only for self-catering accommodation booked with the properties specified explicitly on the Autumn Offers page of EmbraceScotland.co.uk for holidays taking place between 1 October 2014 and 31 October 2014. It is not valid for any other properties, any extras, other dates, or for use in any other way. 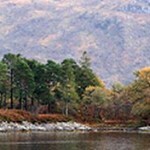 All information and prices detailed on the EmbraceScotland.co.uk pages are subject to change throughout the promotion. Visitors should check prices and other terms & conditions with the Owner or Property prior to confirming their booking. The Owners and Properties reserve the right to refuse any booking at all times and do not need to give reasons or explanations. Only one discount voucher may be used per booking. There is no cash alternative in lieu of using an offer code to make a booking. Exchange, re-sale or sale of codes and vouchers is strictly prohibited. They can only be used by the person named at the time of the registration to whom the code was emailed. The promoter accepts no responsibility or liability for accommodation, services or business practices of the Owners or operators of the Properties advertised by EmbraceScotland and included in this offer. The visitor’s contract is always directly with the Owner or Property and not with the ASSC. The promoter accepts no liability for lost or stolen offer codes. The promoter accepts no responsibility for loss of property/injuries/or accidents that may occur during visits or while on holiday at the specified properties. The promoter reserves the right to withdraw, amend or replace the offer in respect of any individual Owner or Property without prior notification. Please refer at all times to the specific conditions which may apply to individual Owners, Properties or holidays detailed on their individual websites. Visitors should always confirm any special requirements or conditions, along with rates and other details with your Owner or Property before booking.